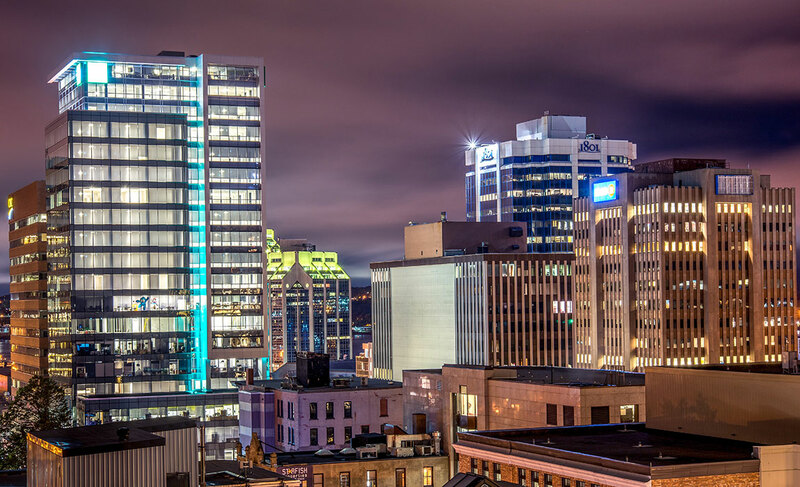 Why IBM Chose Halifax, Nova Scotia | Nova Scotia Business Inc. The year is 2010, and computer hardware and IT services titan IBM is casting about for a new site to expand their global network of Client Innovation Centres. The opportunity to land such an iconic tech leader has an impressively long list of jurisdictions doing cartwheels in hopes of being noticed and, ultimately, selected. 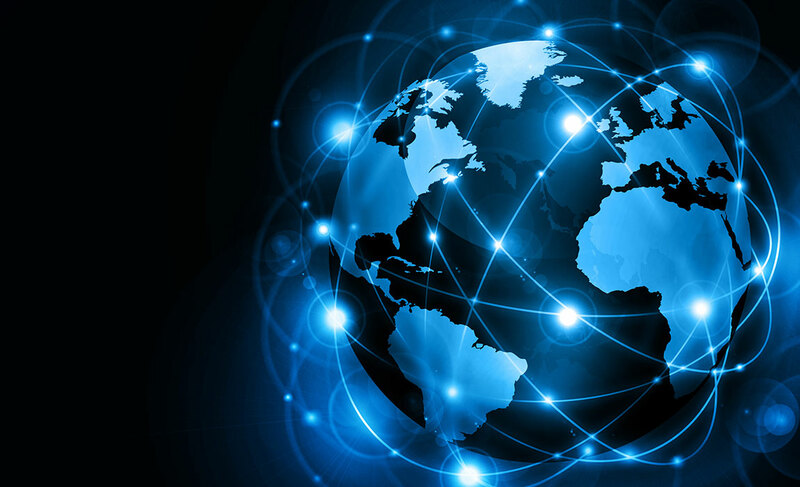 With locations already spanning over 3 dozen countries, where will the global tech leader choose? The choice had been narrowed down to somewhere in Canada. But as the second-largest country in the world, one could argue that's really not narrowing things down all that much. In any event, IBM's Canadian longlist included 5 candidate locations: IBM declines to reveal their names. But we do know they each had, to varying degrees, at least 3 vitally important qualities: a willingness to become a partner with IBM, a large pool of skilled talent, and an advantageous economic formula. The selection process happened two ways — quickly and then slowly. As you can imagine, IBM was very thorough throughout the vetting. "We openly considered probably 5 cities," recalls Chris Macintosh, Centre Leader at IBM. But with such a precise list of must-haves guiding them, the selection team was able to pare the list of candidates from 5 down to 3 surprisingly quickly. The announcement of the final decision, however, was still 13 months away. Since this would be the first Client Innovation Centre IBM opened in Canada, they were adamant about "wanting a place that wanted to be a partner," in the words of one site selection team member. "An economic development partner, a business partner, and an educational partner." The new Centre would be a massive investment and there was an equally sizable risk associated with it. Nova Scotia Business Inc. (NSBI) was instrumental in putting their concerns to rest. They made the province's eagerness to form a partnership with IBM crystal clear. As the IBMer said, "NSBI is unique and different and they welcomed us with open arms." 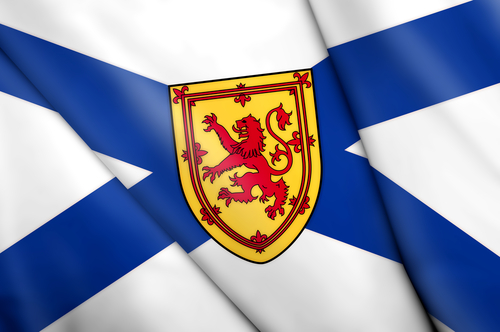 Doing business with Nova Scotia Business Inc.
NSBI attracts and supports businesses moving to Nova Scotia. They made a strong impression on Dave McCann, Partner, Canadian Cognitive Process Transformation Leader at IBM, and a key member of the site selection team: "One of the things NSBI was able to do was rapidly open doors to have us talk to other organizations they had attracted to the region. And that showed they have been a long-standing entity, they have done this before. But, though that was important to us, it was the trust and relationship,"
"The counterpart I worked with for the 13 months prior to the sale, I knew a lot about that person, he knew a lot about me. I knew the name of his partner, I knew where he lived, he knew where I lived, we kind of knew each other's families. We spent a lot of time together. They valued building a relationship. You do business in Nova Scotia the same way you do business with a family member. That's a critical element of the success of what happens there that you don't see anywhere else. I would tell you to this day, outside of NSBI, the dealings that I do in Nova Scotia, we're pretty much family with each other. That's a critical differentiator and I think that's what built the strength and the trust and relationship." You do business in Nova Scotia the same way you do business with a family member. That's a critical element of the success of what happens there that you don't see anywhere else. Second on IBM's must-have list was 'skilled workforce.' After all, there's no sense having a strong partnership if there's no one available to actually do the work and run the business. And here, Nova Scotia over-achieved. The new IBM Client Innovation Centre would be providing application management solutions and consulting services to help solve the thorniest problems facing businesses, enterprises, and governments. So, they weren't just going to need new employees and graduates. They needed the best and brightest new employees and graduates. IBM hires based on a simple concept they call 'fit for future.' They look to academic institutions that are building the skills for today and tomorrow, not yesterday and today. There's a huge difference. Not only did Nova Scotia have the educational infrastructure necessary to turn out exceptional job candidates, IBM also found the colleges and universities were eager to be active business partners as well. The 'post-secondaries', as IBM calls them, were more than willing to collaborate and adapt curriculums to provide support in skills development. In return, IBM knew it would support the growth of the schools. Win-win. For mid-level or more senior hires, the IBM team found that plenty of excellent candidates were already working in Nova Scotia, or very open to re-locating there. According to Chris Macintosh, "it's usually tied to the interest in the work that they are going to get to perform," but also that "more and more people are becoming aware of Halifax — the attractiveness of the city has gone up fairly significantly in the last few years." And once they arrive in Nova Scotia, Cal Gosse, IBM Senior Location Manager, points to employee retention and "just the basic work attitude of the employees here. They are a solid workforce that stays. We have a high staff retention rate." Nova Scotia has the highest number of post-secondary graduates per capita compared to any other province in Canada. Nova Scotia's universities have been awarded top honours by Maclean's Magazine Guide to Canadian Universities — ranking 3 of our universities in the top 10 for undergraduate universities in Canada. Who wouldn't love an economical economy? Choosing a jurisdiction in which you will build a facility to house 500 employees almost immediately, and as many as 1,000 eventually, is no small undertaking. (Yes, that's a clear statement of the obvious, we know.) But it is mind-boggling to think of everything that had to be considered. What is the per-square-foot cost to build? Average salary? Price of a house? Grocery bill? IBM knew that the cost of the local economy would have a significant impact on the ability of the Centre to be cost-competitive. Fortunately, the Nova Scotia numbers worked. Beautifully. For example, it was ranked 5th on a national affordability index. So, the cost of living was very appealing. But it became practically irresistible when a few of the province's 'softer' characteristics were factored in: the moderate climate, the beautiful oceanfront setting, the warmth of the people. While more difficult to quantify, there was no denying that these qualities definitely helped contribute to the overall value-for-money IBM would realize here. Nova Scotia's capital city has one of the lowest operating costs for businesses annually. Halifax has a 12% cost advantage over Toronto, 10% over London, and 29% over New York. The site selection team from IBM was very impressed. Nova Scotia ticked all the boxes. They valued partnership. Government was supportive. They offered a deep pool of highly skilled workers, and a network of colleges and universities to support them. And their economics were very favourable. But what finally clinched the deal was an intangible factor that wasn’t even on their original list — the character of the people. Other Nova Scotia-based companies IBM consulted with would remark over and over again on the “attitude, commitment and common sense of the employees here.” Call it the X factor, the secret sauce, whatever. The people of Nova Scotia have a character and quality that is utterly unique. And they can make the difference in a business’ performance. But what finally clinched the deal was an intangible factor that wasn’t even on their original list — the character of the people. 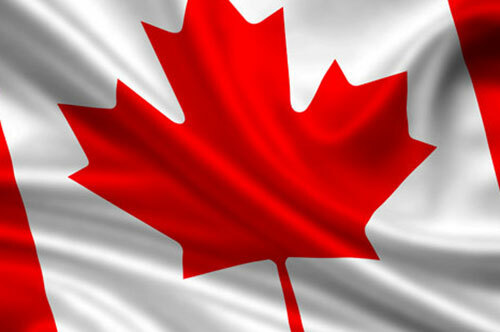 IBM’s very first Canadian Client Innovation Centre opened its doors in Bedford, Nova Scotia, on March 1, 2013. It had 65 employees that morning. Today it employs more than 540 people, providing application management and IT consulting services to government, businesses and universities. IBM has multiple innovation spaces around the world. So why is the Innovation Garage different? Two reasons — it’s the first of its kind in the nation, and it's the only space focusing on the unique challenges faced by the public sector. Opening in March 2018, the Innovation Garage started pumping out projects immediately. “We’re driving out real, workable solutions in a twelve-week period,” says Shawn Porter. Workflows and continual iteration development allow for projects to be turned around very quickly — within twelve weeks or less. As a result, the Garage has seen significant momentum over its first six months in operation. Headquartered at Dalhousie University and powered by IBM technology, DeepSense may not look like more than a room filled with computers, servers, and blinking lights, but in fact is a unique platform that drives collaborative linkages between ocean research with data science — industry and academia. “DeepSense is a tool for doing data analytics for industry partners in the ocean economy," says Kevin Dunn, the interim Executive Director of DeepSense. "It's powered by two things: technology and people." Through in-kind contributions from IBM valued at $12.6 million, DeepSense provides access to software, tools, and a platform of advanced computing delivering analytical capabilities that would be out of reach for many organizations and researchers otherwise. DeepSense has also received support and investment from both the provincial and federal government through the Atlantic Canada Opportunities Agency. "There are two requirements to have a project in DeepSense. First, there has to be a data analytics component. The second is to have an industry partner that's working in the ocean economy," says Dunn. Targeting shorter-duration projects, DeepSense is for companies working in the ocean economy that want to make better data-informed business decisions. Dunn explains how it works, "Companies are brought together with experts in collecting data, and then provided the technical direction in interpreting it. From there, projects are born." Become another one of our many success stories. Contact us today.